I got a parcel from Thailand a few weeks ago. The parcel was from my friends who lived in Australia and was for my birthday, and contained a couple of Thai dessert cooking books. I was so happy as this is the sort of gift that I really like. I spent a few days looking through the books and decided to cook the first dessert from one of the books. 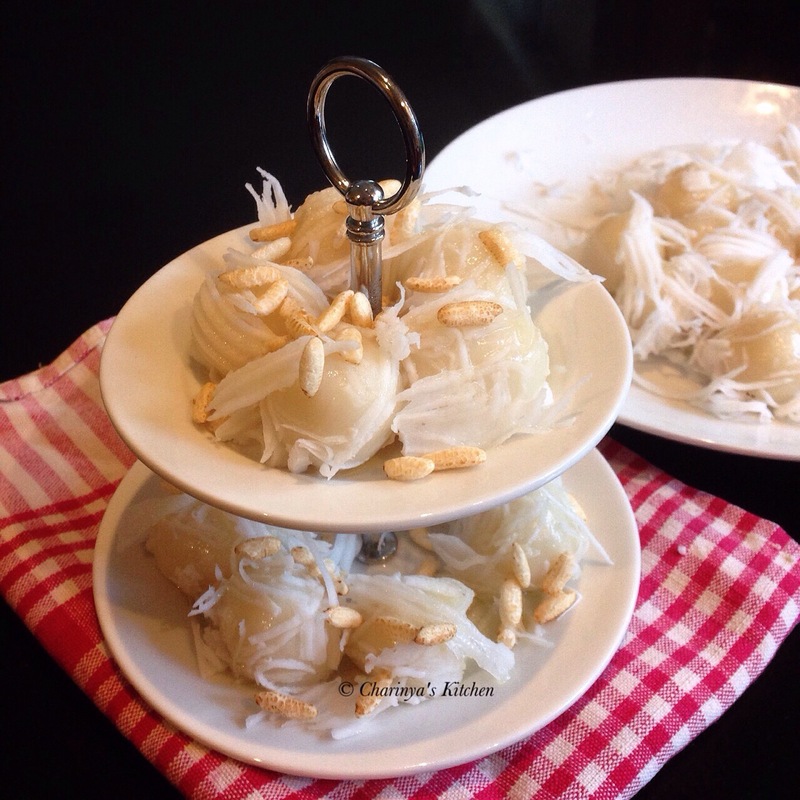 It is called “Khanom Niew”, which is glutenous rice dumplings with shredded coconut and puffed rice in syrup. 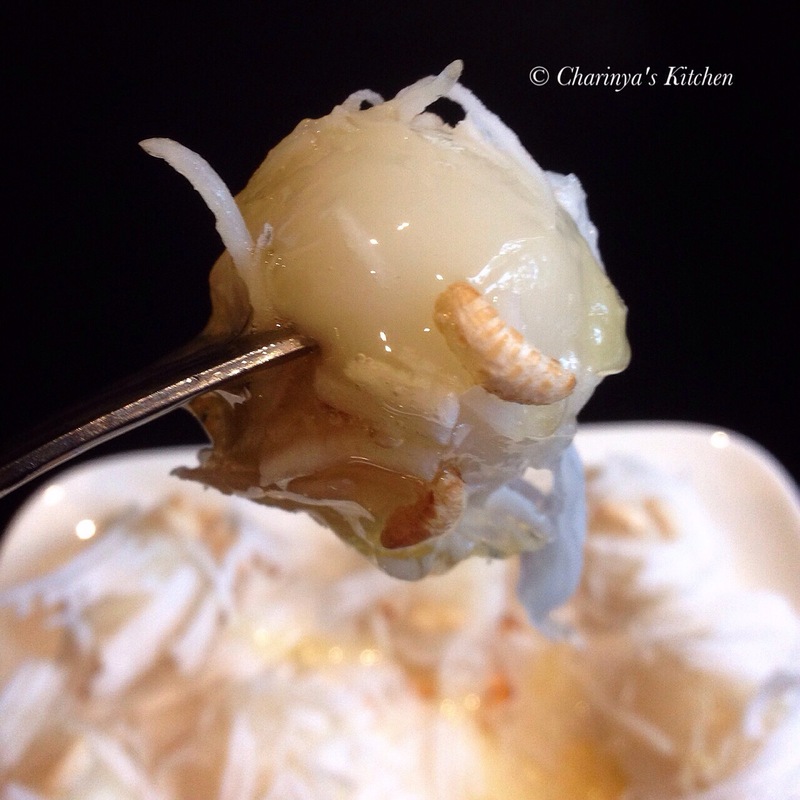 I chose this sweet because it is easy to cook and it has been a long time since I tried it. I have adjusted a recipe a little bit as when I followed the original recipe exactly it didn’t come out as well. • Steam shredded coconut for 10 mins. • In a bowl mix rice flour and coconut milk and knead until you get a smooth dough. 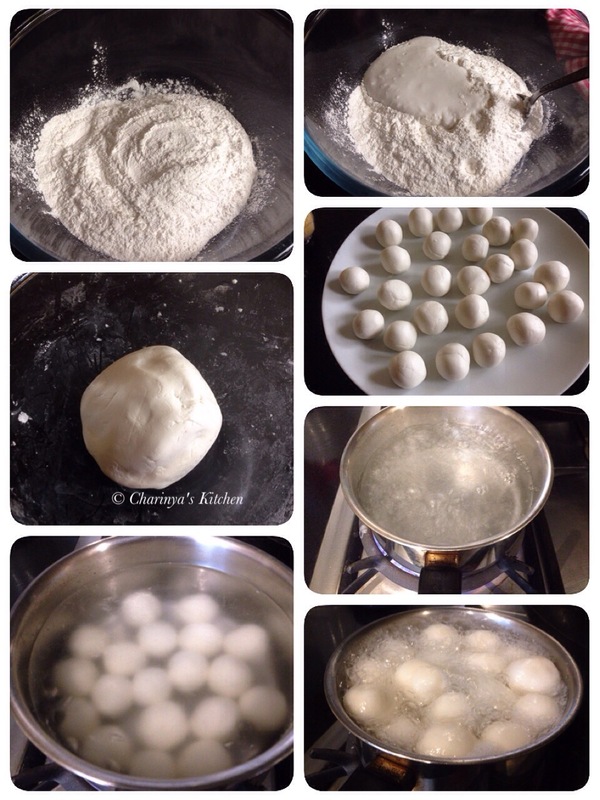 Form the dough into small ball around 3 cm in diameter. • Fill a pot with water and bring to the boil. • Add the balls into the boiling water. When they cook they will flow to the surface. Use the strainer utensils to take them out. 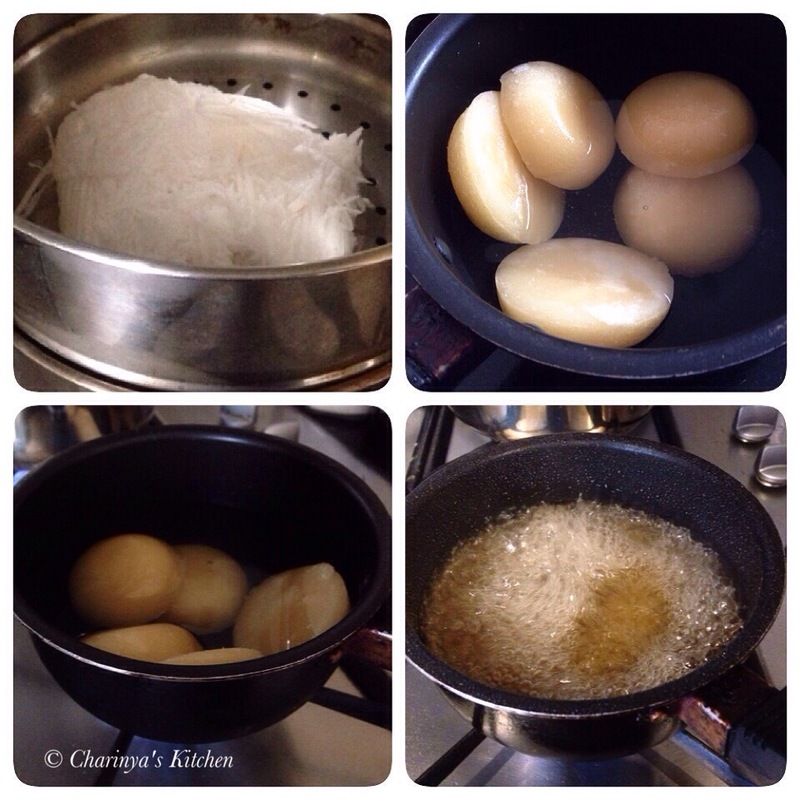 • Put the steamed coconut on the plate and sprinkle with some salt. 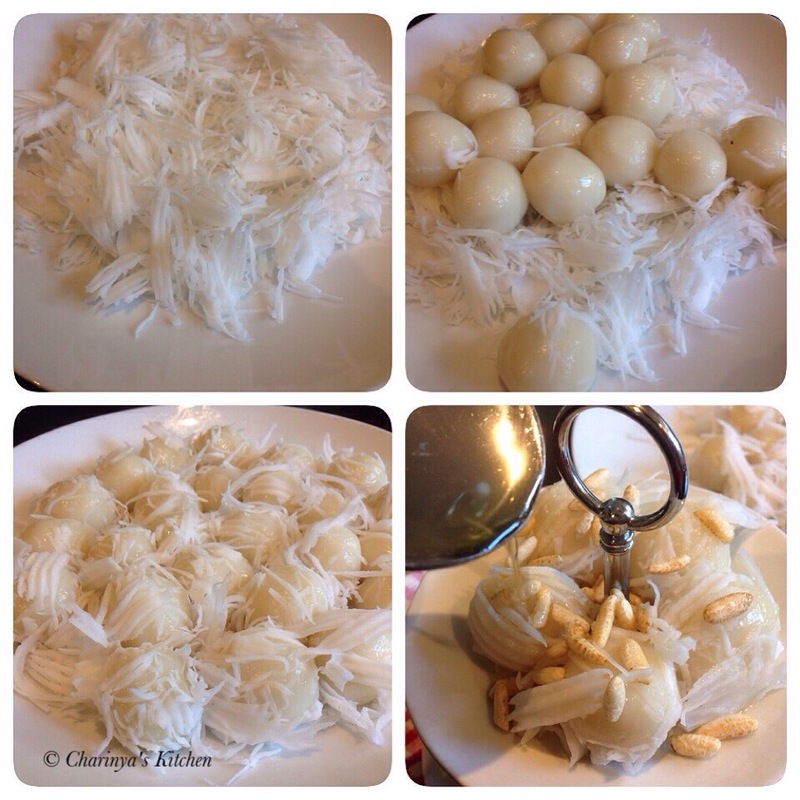 • Add a thick coat of coconut to the dumplings. • Sprinkle with puffed rice. • Just before serving top with syrup.